The Tea Bats Lenormand Mini Deck – The Attic Shoppe Trading Co. If the Mad Hatter was taken by the art of cartomancy, what type of deck would he choose? One of crazy rabbits and mice? One devoted to Alice? One dedicated to the flying tea trays in the sky that he once waxed crazy poetic about? 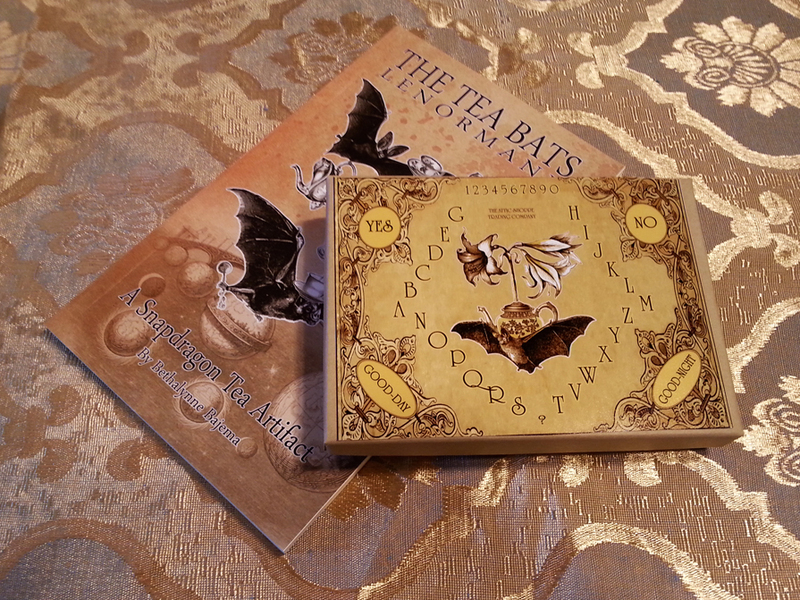 The Tea Bats Lenormand is going to go with that last one! 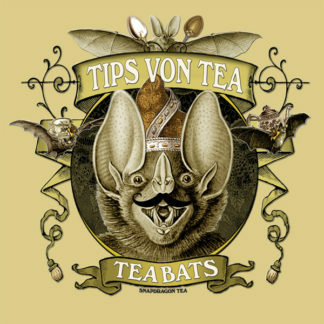 This is a happy deck all about the art of being bat-tea. Scroll down for more details. This is the new mini version of the deck! Just the right size to take the tea party with you anywhere. 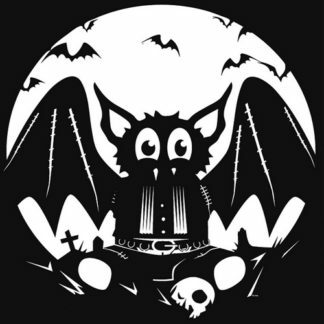 Take a look at the deck artwork here. DECK DETAILS: This is the new mini edition! The cards are 1.61″ x 2.48″ in size. They’re printed on 300gsm card-stock that is sturdy and has a smooth finish. Cards have a blue core that helps prevent transparency of the card so both sides feature brilliant colors. They’re very easy to shuffle and good for everyday use. This version includes the deck with companion book. 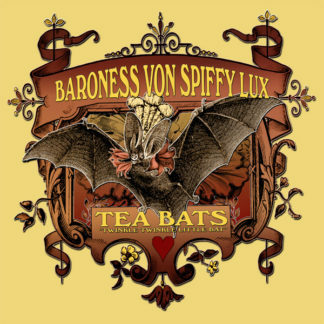 The companion book is full of tea facts, a little information on simple lenormand spreads, and an introduction to some of the more entertaining tea bats. The box size for the mini edition varies on what we have in stock, but are labeled as shown in preview photo. You can see all of the card artwork here.